Thanks to the Soitron Group, an international IT Group which is a leader in the field of IT infrastructure, security and communication solutions, we have spread our business activities to the Romanian market. 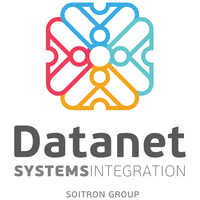 In cooperation with the Romanian company Datanet Systems, the member of Soitron Group, we offer our services on the new market. Datanet Systems, under which name we provide our solutions on the Romanian market, is a system integrator specialized in data networks for large companies and services providers and focused on voice and communication solutions as well as videoconferences and contact centres. Thanks to the cooperation with the members of the Soitron Group, we have found new opportunities helping us strengthen our portfolio on the international market. Our main goal is to have satisfied customers using our CRM and loan applications in Romania. We are glad that, also thanks to foreign partnerships, we are moving forward. In the beginning of October, IM World 2018, the biggest business conference for IT and digital solutions in Southeast Europe, was held in Bucharest. It was attended by many speakers – from top-notch professionals in the field of technology to highly recognized experts. The event got together the world leaders dealing with digitalization, whose aim is to change the way of doing business. 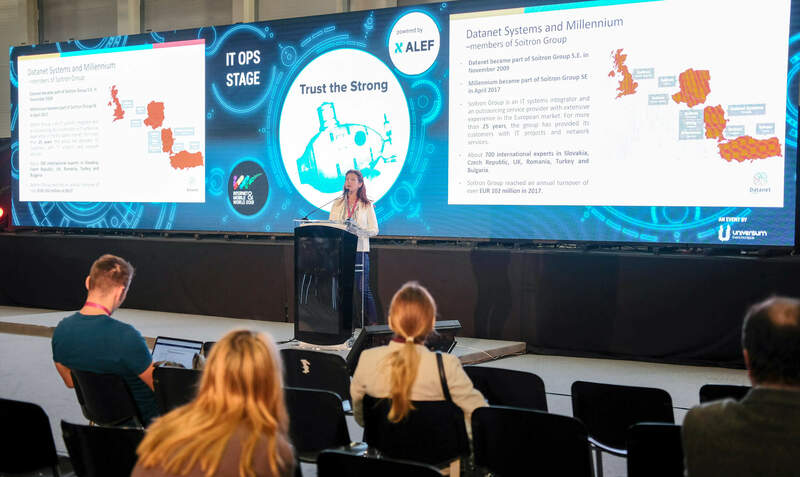 One of the speakers at the conference was Catalina Sofron, Business Development Manager, with the presentation “Innovative IT solutions improving provision of customer services” linked with Millennium. Together with Datanet Systems, we introduced Millennium and the Microsoft Dynamics 365 for Customer Service. Thanks to this solution, customers can use the latest technologies such as voice biometry, IoT, chatbot/mailbot and CoBrowsing as a platform for communication with the company. At the same time, the company can increase efficiency of the contact centre and back office thanks to the advanced communication analyses through all channels and improve productivity of individual operators, employees and teams. The International conference was a great opportunity to raise awareness of our portfolio on the Romanian market.